Our weavers group gathered last Monday at Barb’s house, despite driving through torrential rains. Once again proving how much we really need this connection with our fellow weavers. New to the group is Olga who joined us for the first time and brought her first and only weaving, from 40 years ago. This beautiful overshot in wool was an inspiration for us. Maybe we will re inspire her to weave again. We were all excited to see Barbs rep weave project underway. 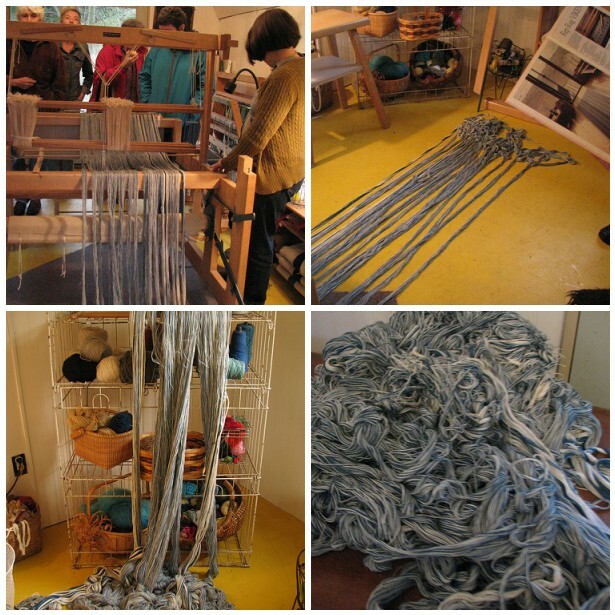 The current warp is the top 2 pictures with 2600; or some ungodly number of ends. This 2nd warp she is making chains for every 1 inch. The first warp is shown in the bottom 2 pictures, the last one being a pile of thread after it met its demise at the hands of Barbs scissors. Once again she earns the nickname slasher as she “cuts” her losses with a misbehaving warp and starts over. Something that she does with such righteous abandon, that we are all in awe. 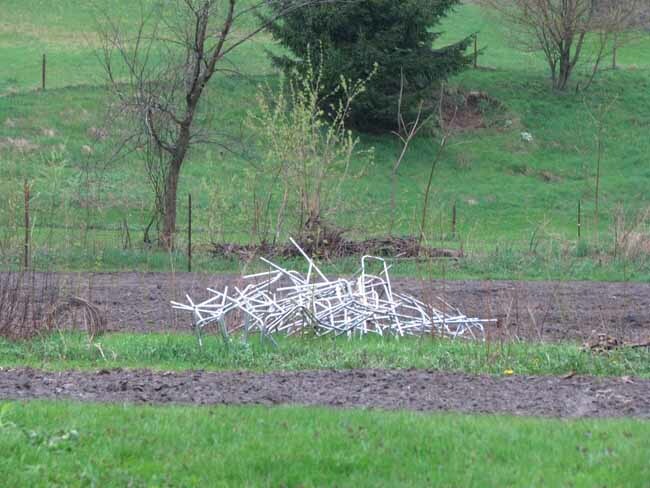 Walking to Barb’s studio we saw a pile of walkers in the garden, waiting for Barb’s husband Harry’s tomatoes, to need some support. 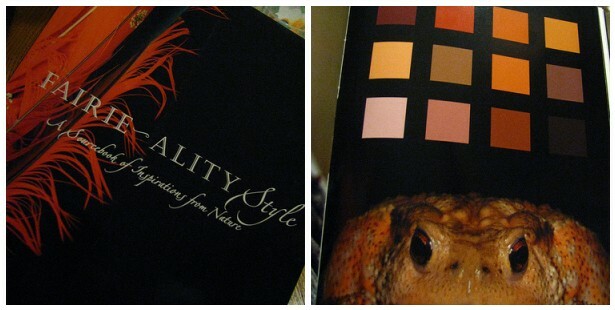 An incredible book brought to show by Michelle. I didn’t pick the best picture to showcase the marvels within; but it is filled with nature inspired photography and color swatches that make my want to drive into my stash for some future weaving and dyeing projects. Great inspiration! I will be ordering this soon and will try to get some more pictures. 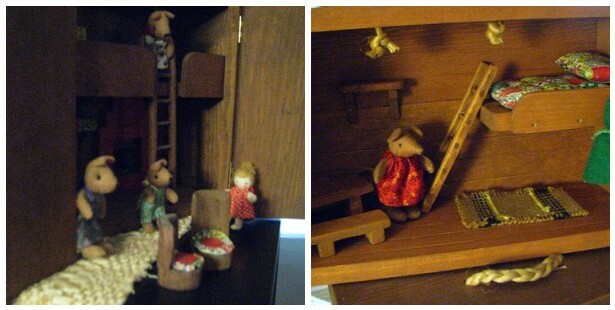 Susan shared these wee houses of mouse and the three bears, that were part of her childhood. Such exquisite workmanship and they are much sweeter than the trolls that I remember playing with. 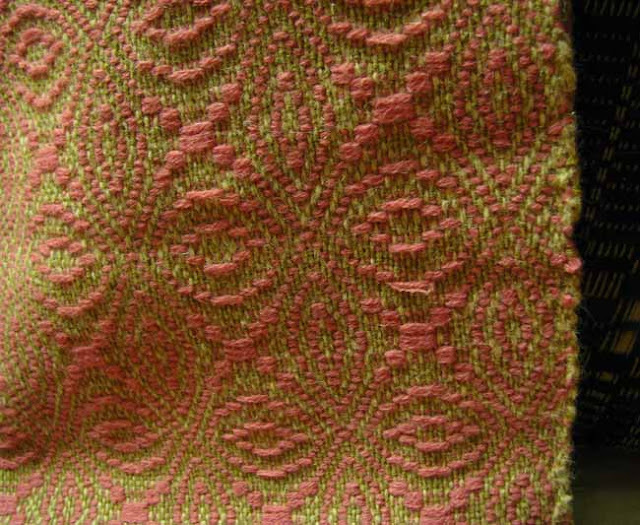 This inkle woven belt by Joyce was a lovely riot of springtime color. 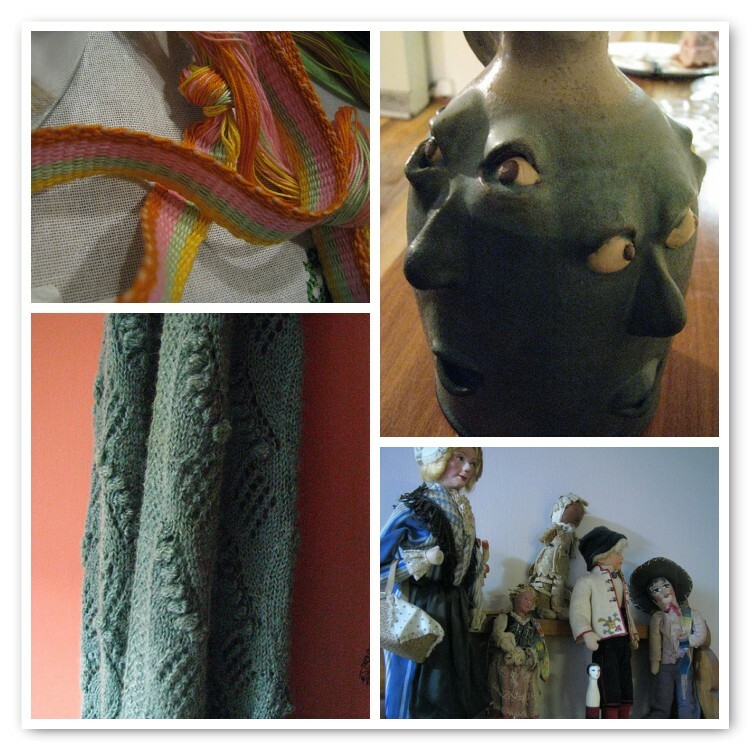 Barb’s house is filled with fun treasures (hard to photograph in the dark light of this stormy day) and of course lots of her beautiful knitting to inspire us all. 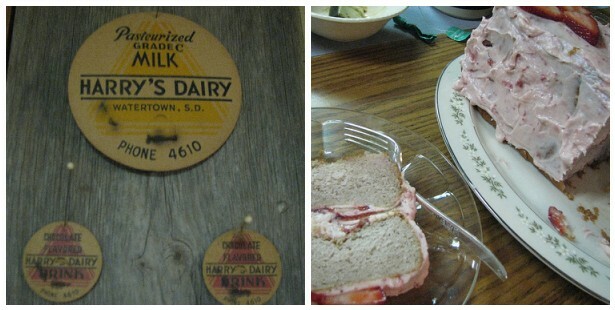 Thanks Barb for a fun, laughter filled day and the strawberry cake was incredible too! Happy trails to you and Harry as you take off for your Scandinavian trip. Looking forward to lots of wonderful stories at our next thursday morning coffee. Looks like I missed a fun day! and some mighty fine cake.